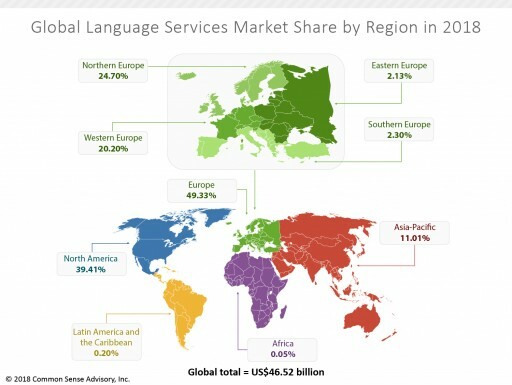 The global market for outsourced language services and technology will reach US$46.52 billion in 2018, according to a primary quantitative study by independent market research firm Common Sense Advisory (CSA Research). The firm surveyed providers from around the world to collect actual reported revenue for 2016, 2017 and expected revenue for 2018. CSA Research details its findings in the 14th annual global industry report, “The Language Services Market: 2018,” the only comprehensive global analysis of private and publicly-traded language services and technology companies. 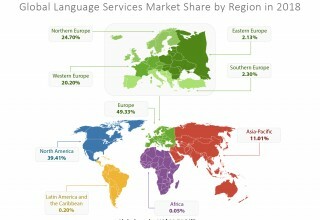 Included in report series are the largest 195 language service providers globally, as well as by region, all of which offer language and localization services to enable enterprises to expand global reach and to respond to domestic needs. The top 10 largest commercially-focused language services companies worldwide, listed according to 2017 revenues, are TransPerfect; Lionbridge; LanguageLine Solutions; RWS Holdings plc; translate plus; SDL; Hogarth Worldwide Limited; Welocalize; Amplexor International; and Keywords Studios. “The Language Services Market: 2018” is available to CSA Research members. The list of the largest LSPs based on 2017 revenues is open-access and available here. 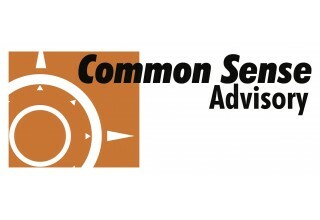 Common Sense Advisory (CSA Research) is the premier market research firm specializing in the language services and technology industry. It provides primary data and insight to assist companies with planning, brand strategy, innovation, competitive positioning, and a better understanding of global markets. An independent market research company, it's trusted and verified data helps companies profitably grow their international businesses and gain access to new markets and new customers. For more information, visit commonsenseadvisory.com or twitter.com/CSA_Research.